The Maryland Court of Special Appeals issued an opinion last week in a case that should be read by every Maryland personal injury lawyer who is putting up or cross examining expert witnesses at trial. In Yiallouro v. Tolson, the plaintiff was injured in a car accident while in the scope of his employment. The case went to a Montgomery County jury who awarded the the victim and his wife $925,000. After the verdict, the trial judge made two conclusions that blew up the jury’s verdict. First, the judge concluded that he had made a mistake in letting plaintiffs’ vocational rehabilitation expert testify about plaintiff’s lost wages at trial – over $400,000 – because her opinions were speculative and without sufficient foundation. The trial judge also concluded that the pain and suffering damages were excessive and perhaps influenced by the testimony of the vocational rehabilitation expert. This ruling put plaintiffs’ lawyer into a box: trial judges have a lot of discretion to vacate verdicts that the court deems excessive. So he did the only thing he could do: try the case again. He even got the vocational rehabilitation expert back, getting her past a Frye/Reed hearing. The defense lawyers – channeling their inner Bill Belichick – did something real smart: they learned from the first trial. Most trial lawyers will tell you that accident reconstruction experts usually are a waste of time. The jury draws it own conclusions and ignores the expert, according to the conventional wisdom. The defense lawyers in this case ignored this conventional wisdom and brought an accident reconstruction expert to testify about his measurement of ground distances and his estimations of speed, stopping time, and stopping distance—including his assumptions of average reaction times. Defense verdict. Contributory negligence. Game over. Riches to rags. 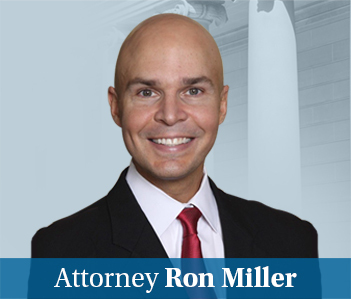 Thankfully for the plaintiffs, the Maryland Court of Special Appeals, in an opinion by Judge Albert J. Matricciani, reversed the trial court, finding that the expert had been appropriately qualified. Future lost wage damage claims present challenges because there are no way to determine the future and, on some theoretical level, an expert who offers future lost wages is guessing. Still, Maryland law allows for damages for future lost wages, if for no other reason than the incredible injustice that would ensue if the law just dismissed future lost wage claims as speculative on their face. So plaintiffs’ lawyer used the three step game plan good accident attorneys use when claiming future lost wages. Get an expert opinion from an orthopedic doctor, have the voc rehab expert translate plaintiff’s limitations into lost income, and then have the economist give the jury the real value of the lost stream of income. Obviously, there the trial judge did not explain exactly what the factual basis was that he found inadequate. So the appellate court went through all of the possible factual predicates for her opinion and found that all of them were insufficient under Maryland Rule 5-702. The court’s opinion was further supported, according to the opinion, by the defense lawyer’s failure to object to the expert’s qualifications and factual basis for her opinion until after the verdict. weight of the evidence. It is excessive, as was the jury’s conclusion that the marital unit should be awarded, interestingly enough, an identical amount for loss of consortium, $224,010.16. more kind to the defense side of the equation, but each case and each trial was different. I have as both a trial lawyer and a trial judge seen low verdicts, high verdicts, and outlier verdicts. The verdict in this case, particularly on damages,was more than just a surprise. In legal parlance, the Court was, quote unquote, shocked, and for that reason the motion for a new trial is granted. No doubt, the loss of consortium claim being the same as the noneconomic damages of the injured plaintiff is a little bizarre. (Boy, the jury must have loved that wife.) But, c’mon, pain and suffering damages are inherently guesswork on some level, right? Juries make compromises, and make whatever call they want to make with respect to economic damages. Call the verdict excessive if you want, but I don’t think you can micromanage a jury’s thinking as to why it arrived at the verdict that it did. If we went back and look at how the sausage is made in the jury room, I think we can always find something that we don’t think is reasonable. Sure, you can’t rationally predict this verdict. Juries have, we can all agree, the unpredictability of a pit bull because they are made up of humans like you and me. But is it crazy for the jury to say, we want to get to $925,000, we think the husband and wife suffered equally in this, and we are going to craft the numbers to get there? Two more thoughts. First, I wonder if plaintiffs’ lawyer argued that the jury’s verdict could not shock the conscious by definition when the pain and suffering award just about equaled the future lost wages in the case. Pain is the worst part of any serious injury case. . If you have pain that causes you to lose over $400,000 in damages, I think you can argue a reasonable jury has the authority to award any damages it wants up to the cap. If I were arguing this to the Maryland Court of Appeals, which is a real possibility because I would not be surprised if either party appealed, I would contend that the noneconomic damage award was actually quite low. My final thought is should there be a rule about who retries a case where the judge flips the verdict on a remittur motion. It seems to me that the plaintiff should get another crack at the case with another judge who may have a different idea as to what the high range of verdict should be in the case.